During the international Open Access Week 2018, 5 webinars were organized by Belgian universities and Belspo. You can find the recordings and some of the presentations here. How to achieve OA to publications and books? How to achieve FAIR data and good Research Data Management? Presentation by Sandrine Brognaux: Slides policy F.N.R.S. Vincent Detours (ULB – publications) talks about Open research data. He is a researcher from The Institute of Interdisciplinary Research in Human and Molecular Biology (IRIBHM), a part of the ULB Medical School. 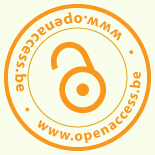 Alessandro Parente (ULB – publications), talks about Open Access. He is a researcher from Aero-Thermo-Mechanics Department, a part of the Faculty of Applied Sciences. As a part of the international Open Access Week 2018, Jean-Louis Tison (ULB, publications), researcher in glaciology [ULB], talks about the open peer review.